Lakehurst may be best known as the site of the Hindenburg disaster but this Ocean County borough has a lot more going on these days. Its police department is quite active and routinely issues in excess of 500 criminal complaints in a given year. This is a significant number considering that the “Airship Capital of the World” only spans about one square mile and has 2,654 residents. If you were arrested or charged with a disorderly persons offense like marijuana possession, drug paraphernalia, harassment, lewdness, or simple assault, you should strongly consider contacting our firm. A conviction for an offense of this grade is nothing to take lightly as it exposes to fines, probation, or even up to 6 months in jail. The same would certainly be true if the offense you are up against is a felony crime of the first, second, third or a fourth degree. Even a serious motor vehicle ticket warrants the attention of a skilled defense attorney as your driving privileges could be placed into jeopardy if the summons is not handled properly. Our firm, Marshall & Bonus, represents clients charged in Lakehurst with any criminal, DWI or traffic related violation. 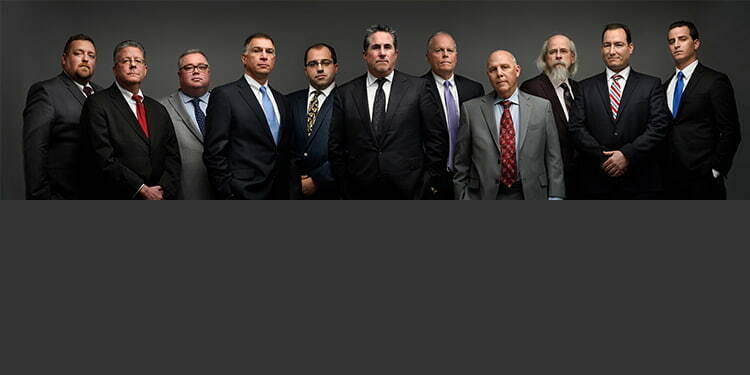 The defense team here includes former prosecutors with over 100 years of combined experience. One of the attorneys is Matthew Dorry, a highly respected member of the defense bar who served as municipal prosecutor in over 15 towns in Ocean County. To speak to a Lakehurst Criminal Defense Lawyer at our firm, call us 24/7 at (732) 286-6500. The attorneys will be happy to assist you and the consultation is free. The administrative office of the Lakehurst Municipal Court is located at Borough Hall, 5 Union Avenue, Lakehurst, New Jersey 08733. The staff, including the Court Administrator, Patricia Megill, are available Monday-Friday between 9AM and 4PM at 732-657-4151. The Lakehurst Municipal Court meets twice a month fist and fourth Wednesday at 9:30AM. Please note that court session conducted by the Honorable Damian G. Murray are conducted at 207 Center Street. The municipal prosecutor in Lakehurst is Greg McGuckin, Esq. For additional information, you may consult the official website of the Borough of Lakehurst Municipal Court. The jurisdiction of this court is limited. What we mean by this is that your case cannot be heard in Lakehurst Municipal Court if it involves an indictable crime of any degree as those types of cases can only be adjudicated in Toms River at the Ocean County Superior Court. Common offenses falling outside the power of the municipal court include aggravated assault, MDMA possession, heroin charges, burglary and most weapons violations. Penalties for crimes like these hinge on whether the grade is a first degree, second degree, third degree or fourth degree. First degree is the most serious and can result in up to 20 years in prison whereas fourth degree is the least severe carrying up to 18 months in jail. If you are facing a charge of this variety because you were arrested in Lakehurst, you definitely should consider contacting our attorneys immediately. As the largest criminal firm in Ocean County, our attorneys have occasion to handle many new callers each month. A common error revealed in these conversations is failure on the part of an accused to take an offense seriously until it is too late or after their defense has been compromised. Do not make the same mistake. Call our Lakehurst NJ Criminal Attorneys now for the thorough defense you deserve. The consultation is free of charge so there is no reason to hesitate to contact us. We can be reached 24/7 at (732) 286-6500.